A slight, muffled laugh escaped from his parted lips. The black, long sleeved jacket he wore much too big on him. A grasp on life, he said, a slight preoccupancy that would only last but a millisecond. He held the knife to his cell partner’s throat, smiling, wolf-like fangs glistening, somehow, in the darkest of corners. The man gulped, not being able to emit any type of noise. Get Your Book Manuscript Reviewed—For Free! Win a free analysis and review of your manuscripts from the editors who help writers publish great books. We believe that writers are important, and this is a way to help them write books that others will want to read and buy. This contest is open to all writers who have written or are writing book-length manuscripts, fiction and nonfiction, and are preparing for publication. i don't know how, i can't say why-all i know is i'm it's scribe! tis sameness makes some comfortable--the difference be appalling / i wonder how they gave themselves--to such a dismal calling / to share and blend and understand--need not pollute the soul / for difference makes us wonderful--for me, it is my goal! Punctuation isn’t complicated once you know what you’re looking at. I see many writers making errors when punctuating appositives. This may be a new term for many folks, so we’ll take a look at what I mean by “appositive,” and then we’ll figure out how to punctuate them correctly. Is there life after suicide? Please add me on Myspace. I'm sure that most of you don't know, but I am also a musician. Check me out!!! New book review "Sensitivity 101 for the Heterosexual Male"
Here is the latest review for Sensitivity 101 for the Heterosexual Male. Your book or story has a powerful beginning. It engages the reader. It makes him want to read more. The main character has a big problem, and the reader wants to know how it will be solved. Pretty soon, though, the reader is yawning. She puts the book down and goes to do something more “interesting.” What happened? You started strong, but your middle is weak. Memories of a Forgotten Time. New Fiction Book "The Same Individual" Coming in early 2010!!! My new book "The Same Individual" will be released in early 2010. I will have more details soon for everyone! 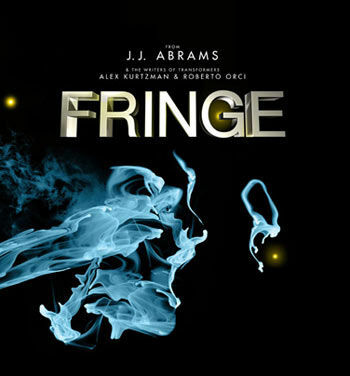 Well after what felt like a very long time, whatever it was that was stopping me from writing, has taken a hike and hopefully it won't return for a while, but I owe it all to my favourite T.V Show: Fringe as well as what I hope to become my 2nd favourite T.V Show: V.